For over 28 years, the company has been producing high quality cosmetic and perfumery products using natural ingredients with a unique effect, such as consumers demand. The strategy of the company is oriented towards observing the optimal correlation between PRICE and QUALITY, creating optimal working conditions for the employees, equipping the working place with all the necessary for the proper functioning of the company. 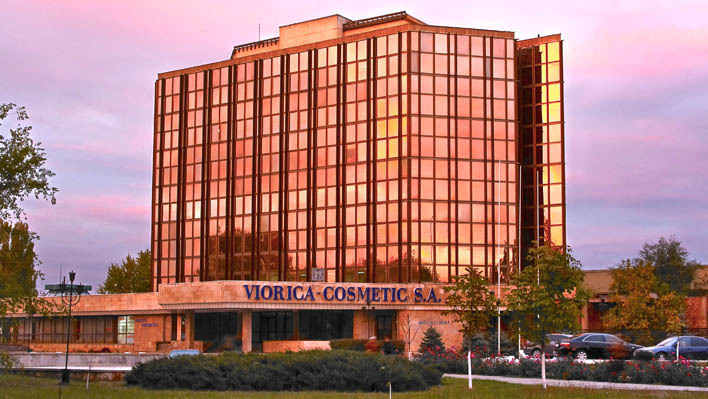 At present, the Factory “Viorica-Cosmetic” is recognized both in Moldova and abroad, the products of the company being exported to Belarus, Ukraine, Lithuania, Romania, Bulgaria, Senegal, etc. In 2017 the company opened its first specialized shop across the country in the city of Iasi, Romania, thus continuing the development of its own network of specialized stores. The network of specialized stores of the Factory currently has 22 commercial points. Care for beauty and respect for tradition, health and the environment, complemented by continuous research, originality and attention to the requirements of its customers, have made “Viorica-Cosmetic” an appreciated manufacturer over time. Today, the company’s portfolio consists of more than 400 cosmetics and perfumery products. Natural raw material used in “Viorica-Cosmetic” products is grown in its own ecological park – “VIOPARK”. The originality and quality of products are recognized each year at various national and international competitions, as evidenced by various diplomas and awards, including: the Golden Mercury for The Trade Mark of the Year 2003-2016-. Also, this year, the company made its debut in the “Export” category and also received the highest award – the Golden Mercury. It is worth mentioning that “Viorica-Cosmetic” has the largest portfolio of registered trademarks which denotes the uniqueness of each product.